At the start of the First World War in 1914 many new Army units were raised and as such a 12th Battalion of the Worcestershire Regiment was formed at Plymouth in November 1914 under the command of Lieut.-Colonel Sir E. H. St. L. Clarke. 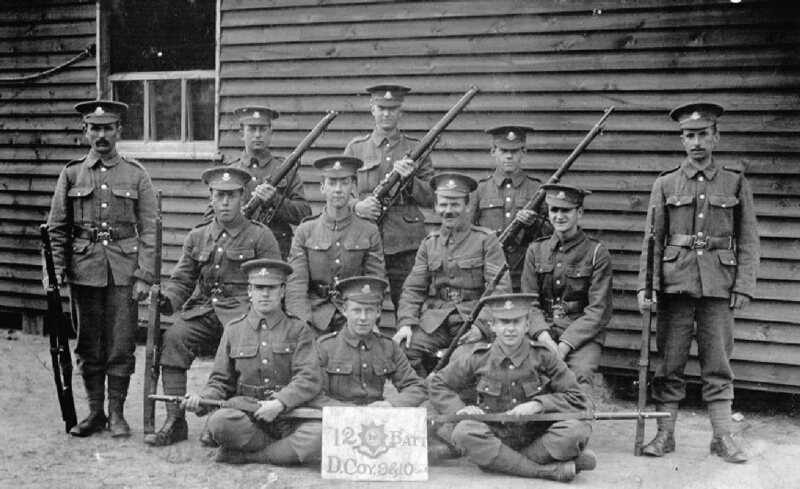 However, before the formation had reached its final stages it was decided to convert it in to a training unit to supply reinforcements to replace the anticipated casualties of the regular battalions. As such the 12th Battalion became one of the reserve battalions. In October 1915, Major J. G. R. Swanson (later Lieut.-Colonel) took over command of the 12th Battalion. During the autumn of 1916 the 12th Battalion was amalgamated with the 13th Battalion and renamed the 46th Training Reserve Battalion, this new unit then ceased to have any connection with the Regiment and as such then sent drafts to any unit of the armies overseas.